How are you preparing for NUOVA’s program? I am incredibly excited to begin preparing the role of Lily, as I am new to the musical theatre world! I look forward to synthesizing my operatic technique with musical theatre styles and learning about Lily's development throughout the show. She plays such a beautiful role in The Secret Garden. Outside of the practice room, I'm sticking to the "NUOVA daily routine" I discovered last year which consists of two things: LOTS of sleep, and LOTS of apple cider vinegar. Oh, and meal planning! As a singer, our body is our instrument, and during busy and intensive programs like Opera NUOVA, singers need to look after themselves in order to perform to their fullest capabilities! What attracts you to NUOVA’s programs? Why this year? I look forward to continuing the artistic and emotional growth I began during my time with Opera NUOVA last year. I met so many talented and inspiring artists, who I look forward to working with again this year. I'm also eager to take a step into the world of musical theatre, and can't think of a more perfect show than The Secret Garden to do so! Both the film and the book were favourites of mine growing up. Born in Fredericton and raised in Winnipeg, Christina Thanisch-Smith is currently completing her B.Mus (Voice Perf.) at the University of Manitoba under the tutelage of Monica Huisman. Feeling at home on the stage and with a passion for opera, Christina performed the role of Mariane in Kirke Mechem’s Tartuffe (Opera NUOVA) and has sung experts of roles such as Susanna (Le nozze di Figaro) and Arminda (La Finta Giardinera) with U of M’s Opera Theatre. Christina had the opportunity of performing as a soloist with the WSO as the winner of their Rising Stars competition (2015) and won the Zita Bernstein Competition (2017). This year, she was one of two winners of the U of M’s Lawrence Genser Competition and runner up for the Winnipeg Music Festival’s Rose Bowl. 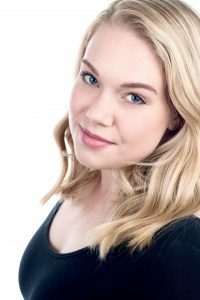 This summer, Christina will be returning to Opera NUOVA singing the role of Lily in The Secret Garden and participating in Wendy Nielsen’s Vocal Techniques Workshop.